Customers are absolutely loving all of our dog lover games! If you remember, a couple months ago we released a series of custom made dog lover games through blog posts. These games included a word search, a crossword search, and a picture search puzzle. 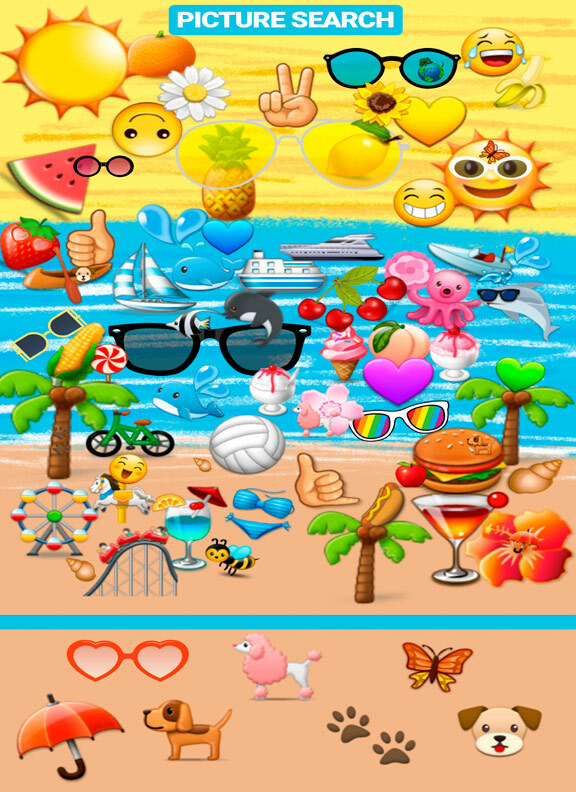 We made the puzzles phone friendly, in which we urged customers and followers to screenshot the puzzles so they can solve them on their phone and then re-post them with their answers. Below, you can see a sample of one of our customers who did exactly that! 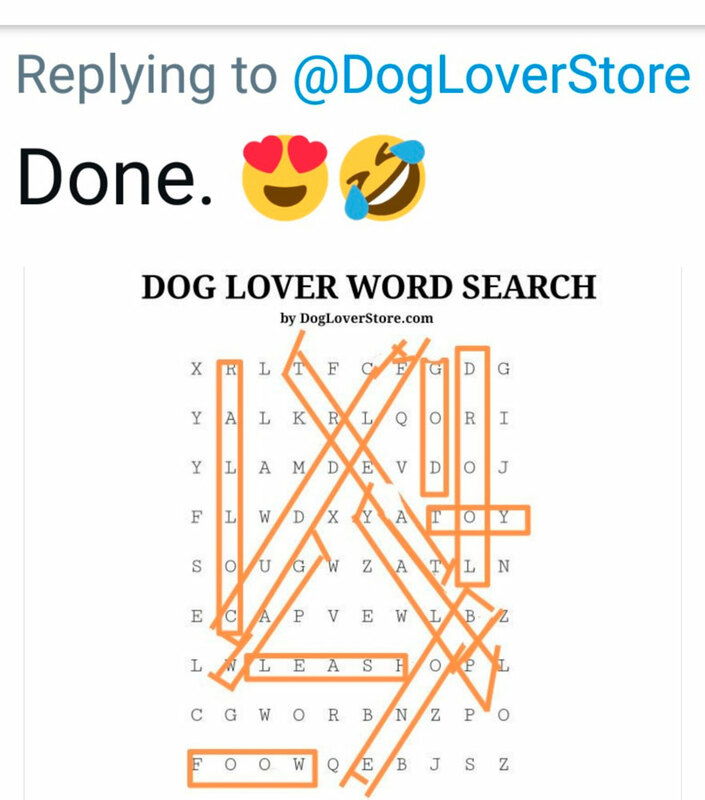 He took a screenshot of our word search puzzle, completed it on his phone, and then he tweeted us on Twitter with a screenshot of his solved word search puzzle. He did an awesome job and found every solution to the puzzle. We’ve attached the original word search puzzle so you can do the same. 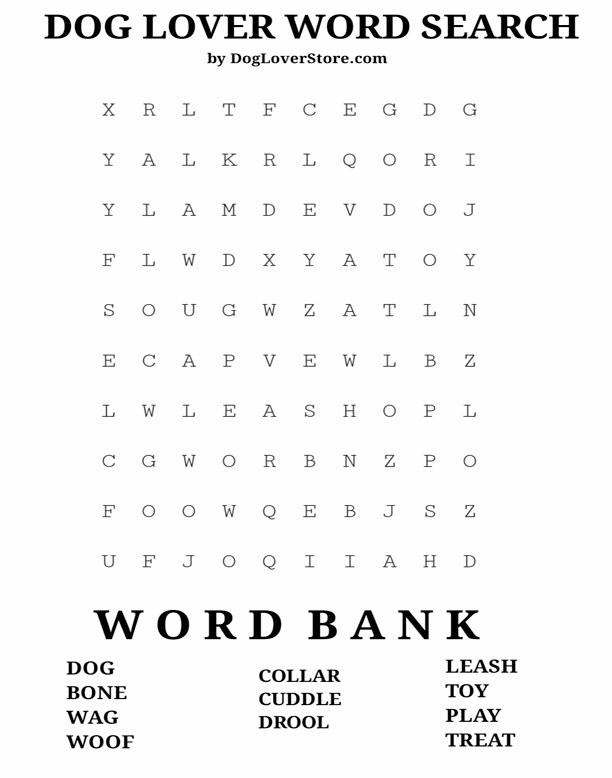 We’ve also attached our dog lover crossword puzzle and picture search puzzle that we created. In our opinion, the crossword search puzzle is a bit more challenging than the word search puzzle and the picture search puzzle is even more challenging than the crossword search. They are all great ways to pass the time and exercise your brain. Games have so many benefits beyond passing time and stimulating your brain though. They’re also great for your health and improving effects of certain illnesses and ailments. For example, people who have suffered from strokes are encouraged to play games that engage their cognition and require memory. Playing games that require skills outside of your daily normal routine can help stroke victims improve memory and understanding. Puzzles can help engage a person’s coordination and motor skills by moving their hands. At rehab centers and elderly homes you will almost always see a great offering of games and puzzles. Patients who are in these facilities can enjoy our games on any electronic device, including computers and tablets. If you’re visiting someone in a facility, you can print out our puzzles and bring them with you. They will be a great activity for you to enjoy together. We are working on new puzzles to stump even the smartest dog lovers! If you have any creative ideas for new dog puzzles, please share your thoughts in our comments section. We would love to hear from our puzzle solvers!